FRAMED: Yes, ready to hang! 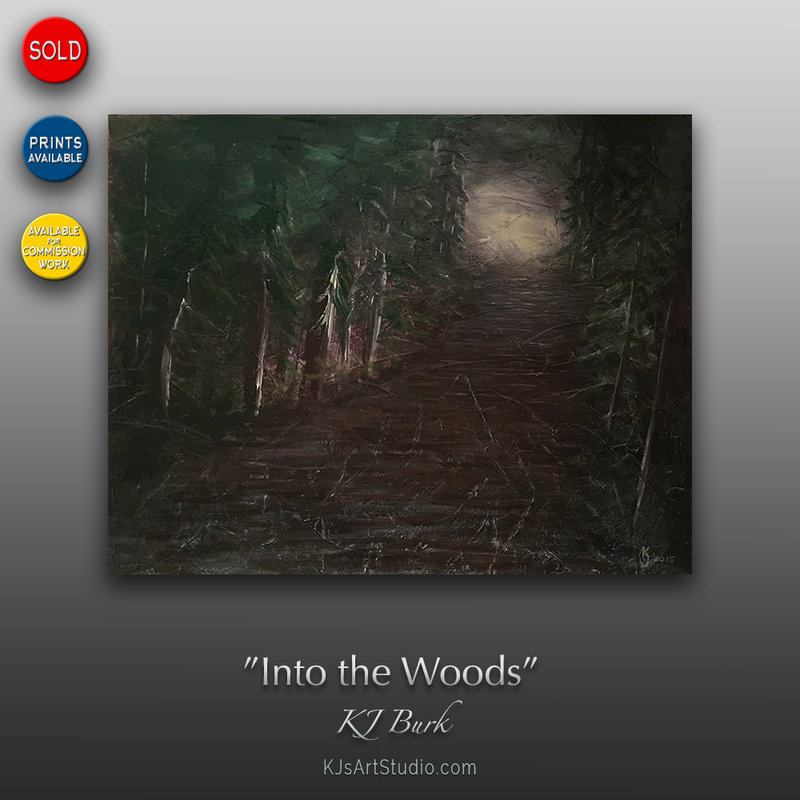 DESCRIPTION: “Into the Woods” is a heavily textured landscape painting signed and dated by the artist. “Into the Woods” has been SOLD to a private collector. Fine quality prints are available. Prints, Stationary & Home Decor Items are available featuring this painting.